I hope everyone had a wonderful first week to the New Year! Lots of resolutions made – hopefully not broken yet. Reading lists started, during those last few vacation days. For my first Magnificent Monday of the year, I’m highlighting a new book by Darcy Flynn. If you follow my blog, you saw Sealed With a Kiss in December, a prequel to Keeper of My Heart. Darcy is back in January with a new stand-alone book called Rogue’s Son. Isn’t the cover just awesome! Tough and driven, Kit Kendall replaced frills and dresses with no-nonsense haircuts and wranglers years ago. As owner of Sage Brush, the once-thriving West Texas bed and breakfast ranch, she now struggles daily to keep her business afloat. Since McCabe Lodge reopened next door as a multi-million-dollar resort, her financial difficulties compound, as she suffers one cancellation after another. Just when she thought things couldn’t get any worse, Kit’s former neighbor and childhood nemesis returns as the new owner of the resort that’s now putting her out of business. 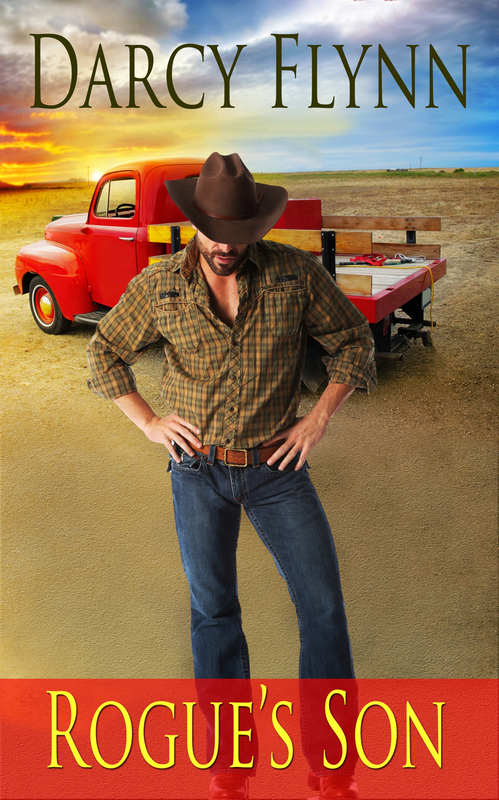 Sam Dawson, cowboy turned entrepreneur, has returned to Sugar Creek after six years of exile with a secret that could destroy Kit’s happiness. He left town because of it and for the past two years has secretly tried to make it right. Having failed, he now returns to make one last attempt to undo the tangled web created by his father. Set in motion by his father’s will and with the clock ticking, Sam has only weeks to convince Kit to sell him her ranch or reveal the truth that will break her heart. 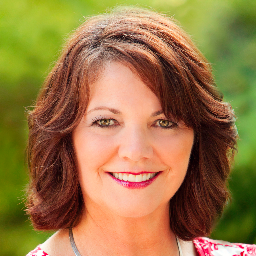 Sweet romance author, Darcy Flynn’s life is a gumbo world. Take a little New Orleans heritage, some art, music, dance and add a lot of love and time to simmer and all you have is spice, flavor, and a memory of something so fine you can’t wait for another helping. Her fiction is a few B&Bs, a couple lighthouses, a bit of moon magic and a lot of problems mixed with a healthy portion of sweet romance. Add a dash of sizzle and a lot of sass and all that’s left is magic. Darcy’s debut novel, Keeper of My Heart is a finalist in InD’Tale Magazine’s RONE Awards. Visit Darcy at http://www.darcyflynnromances.com/. Follow Darcy on: Facebook & Twitter. This is definitely a book to add to your reading list! Grab a copy today, exclusive on Amazon. On the 12th Day of Christmas … I’m thankful for the wonderful family and friends that I have to share the holidays with. My husband, son, and I left Nashville yesterday morning to spend the day in Kentucky with both of our families. We started the day at my parents’ home. Even though my younger sister could not be with us, we were able to conference her in as my father read the Christmas story from Luke, just before the noon meal. It’s a family tradition that I hope we never forget. Dinner was with my husband’s family. I’d forgotten how wonderful it is to have small children in the midst of presents, candy, and lots of attention! My son is 19 and his two closest cousins are 18 and 20, so it’s been a long time since they made a list for Santa. But my sister-in-law’s four children are now at the young ages of 6, 4, 2 and almost 1. You can imagine how wonderful it was to see the gleam in their eyes as they opened their presents and played with their piles of new toys. On our way home from my in-laws, my husband made the comment that it was the best Christmas Eve he can remember having in a long time. It wasn’t about getting presents or eating two big meals (although both of our mothers are amazing cooks). It was truly a day of celebrating the season with the ones we love. I hope you have a wonderful Christmas with your families. Today, I’m not posting a contest. As a thank you for supporting my second annual 12 Days of Christmas blog series, and generating over 300 visits to my website in the last 11 days, I’m gifting each person who posted at least one comment on Days 1 through 11 with a copy of their favorite featured book. All you have to do is leave a comment by end of day December 26th with the name of the featured eBook that you would like to receive and I will gift it to you through Amazon. I apologize for the lateness of my post today. My husband surprised me with breakfast out at Cracker Barrel this morning and I’m just now home and getting settled in with my computer. Our winner for the 1st Day of Christmas is Jill Collins. Jill – I’ll be sending you an Amazon link for your eBook copy of Compromising Miss Tisdale today. 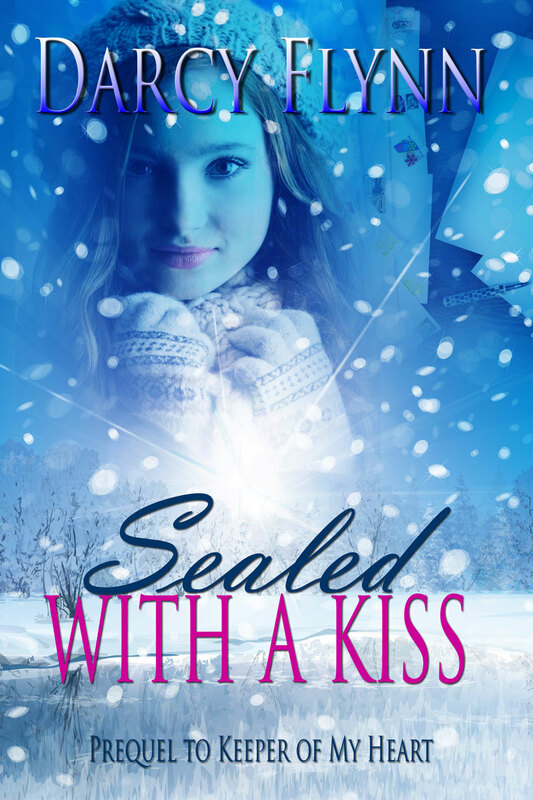 On the 2nd Day of Christmas … I’m very excited about Darcy Flynn’s newest release, Sealed with a Kiss. It’s the prequel to Keeper of My Heart. I knew she was feverishly trying to finish it by Christmas, so I was surprised but elated when it hit Amazon just yesterday. Isn’t this one of the most beautiful covers you’ve ever seen? So sweet! You will love this short story that so perfectly leads you to Keeper of My Heart. Since the loss of her older brother, Davy, fifteen-year-old Katie McCullough must face the new reality that she is alone in the world, except for a bitter, controlling aunt that is now her guardian. After her brother’s funeral, Katie escapes to the nearby lighthouse to grieve. While there, she is surprised by a young naval officer, Max Sawyer, who comforts her with one tender kiss, then abruptly leaves. Max promised Davy that he’d look out for Katie if anything ever happened to him. A task that should be easy, except Katie’s aunt has refused to let him anywhere near her. With only one week stateside before his deployment overseas, Max has to figure out a way to keep his promise to Davy, while keeping his identity a secret from Katie. For today’s contest, I’m giving away 2 copies of Sealed with a Kiss. To enter, go to Darcy’s website, DarcyFlynnRomances.com and find out when her next new book releases. You can tell me the title, release date, and/or how many days are left in the countdown. Leave your comment, spread the word, tell your friends. I’ll announce the winners tomorrow. Have a wonderful Sunday everyone. Stay warm, curl up by the fire, and enjoy a cup of hot cider or cocoa. That’s where I’m going to be!